Bringing you exclusive, top-notch shows, time after time, is what Red Rocks Amphitheater does, and Rascal Flatts is no exception! Lose yourself for the evening at Rascal Flatts – coming to Red Rocks Amphitheater on Tuesday 11th September 2018 – you will be entertained! As the Country superstar group comes to give yet another out of this world, unmissable performance. Tickets are on sale now!!! The American Country act, Rascal Flatts are a worldwide name. First starting out all the way back in 1999, in Ohio, the trio began their journey in music. Gary LeVox, his second cousin Jay DeMarcus and Joe Don Rooney. DeMarcus is also a brother-in-law of country music singer James Otto, who was also one-half of the Christian duo East to West, kick started themselves with covers and performing on the local scene. During the 2000's they escalated up through Disney Music Groups's – Lyric Street Records, who quickly realised that these guys were set for success! With their certified platinum or high albums released via the label. These have included the likes of; Rascal Flatts (2000), Melt (2002), Feels Like Today (2004), Me and My Gang (2006), Still Feels Good (2007), Greatest Hits Volume 1 (2008) and Unstoppable (2009). 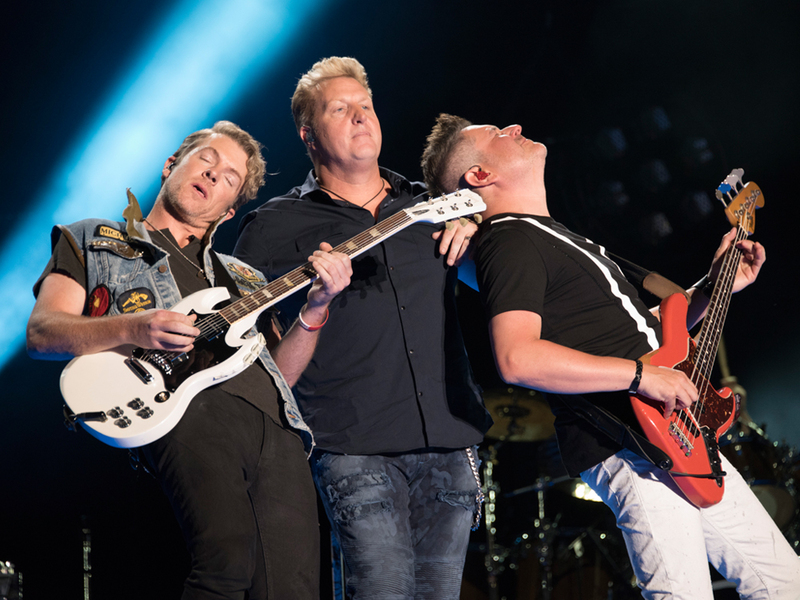 The incredible Rascal Flatts are truly a must-see for Country music fans, as they bring their vast collection of albums and chart topping singles to the road! There's no time like the present to grab tickets and make sure to be a part of their 2018 live dates! "The way people sang along to the slower, sentimental songs such as “My Wish” and “I Won’t Let Go” is a testament to Rascal Flatt’s skill at being commercially viable. They have excellent cross-generational appeal, and drew pre-teens and retirees alike."